What is SPECIFIC Canine Special Care Weight Reduction dry food? SPECIFIC Weight Reduction is a complete and balanced dry food for dogs that are needing to lose weight. It contains high levels of Omega-3 fish oils to promote healthy coat, skin and joints. 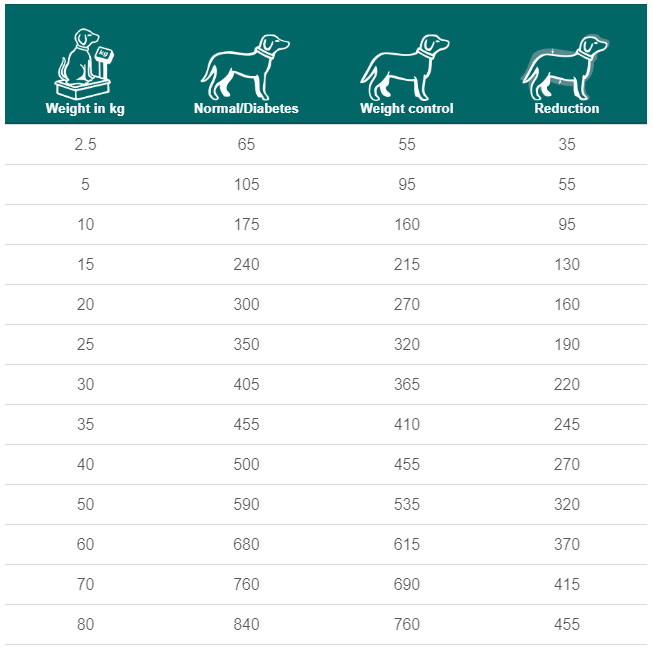 Designed to allow dogs to lose weight without leaving them still feeling hungry, this diet is low in fat and calories, but high in fibre and protein – this means that the dog’s appetite is satisfied by full portion sizes, while still helping them lose weight. SPECIFIC Weight Reduction is high in protein to maintain muscle mass. This increases weight loss as the loss then comes from fat rather than lean muscle mass. With added L-carnitine, a fat burning amino acid, to further aid in weight loss. SPECIFIC Weight Reduction is suitable for diabetic dogs due to the use of starch and high level of fibre for slow glucose release. The high fibre content also makes this diet suitable for dogs with constipation. This food is suitable for adult dogs needing to lose weight. What are the benefits of using SPECIFIC Canine Special Care Weight Reduction dry food? 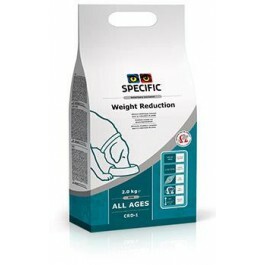 What is in SPECIFIC Canine Special Care Weight Reduction dry food? Crude Protein 29.7g, Crude Fat 5.6g, Carbohydrate 37.4g, Crude Fibre 12.9g, Calcium 0.85g, Phosphorus 0.73g, Sodium 0.28g, Starch 27.8g, Total Sugar 1.4g, L-carnitine 30mg, Omega-3 0.62g, Water 8.5g, Ratio n-3:n-6 1:2. 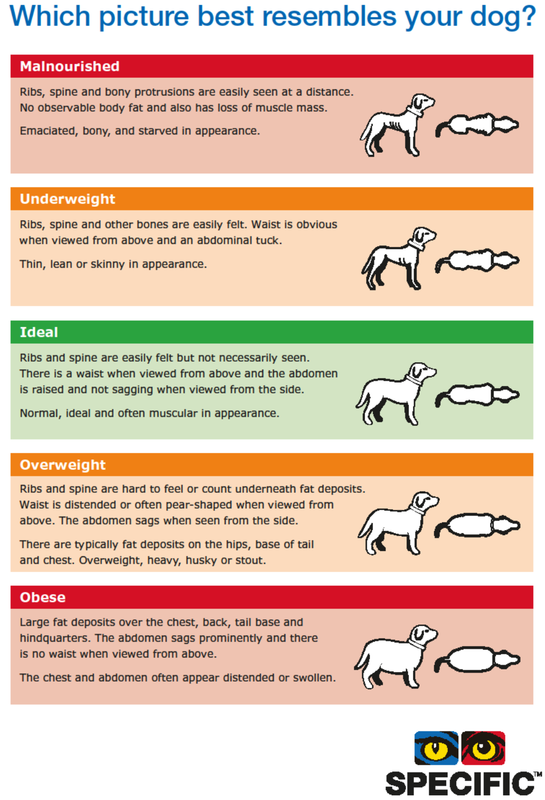 How much SPECIFIC Canine Special Care Weight Reduction dry food should I feed?